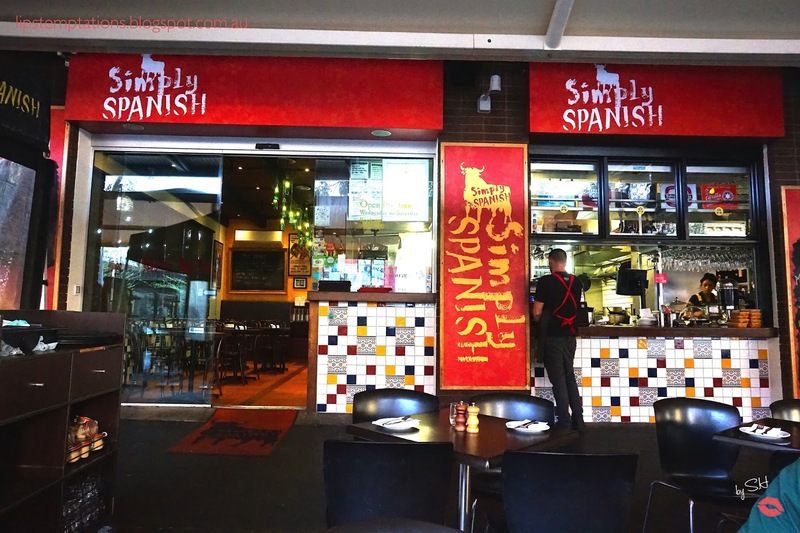 Simply Spanish is a restaurant at the South Melbourne Market and completely visible if you pass by Cecil St. 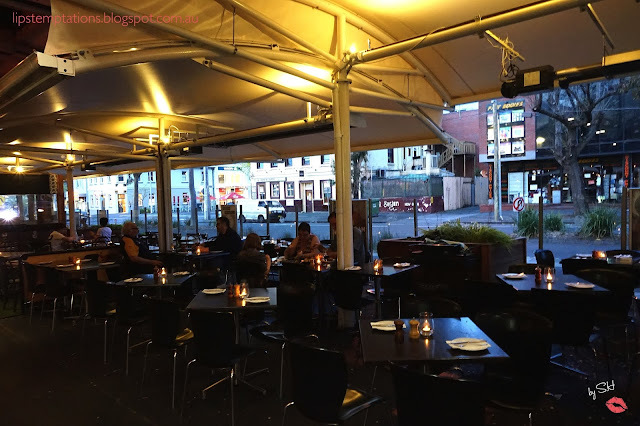 The outdoor area is spacey, able to accommodate large group of people and best to enjoy at Springs or Summer. In contrary, the indoor are is small, limited space and a bit cramped. Latin musics lift up the atmosphere with the shades of oranges and red just completes the Spanish themes. 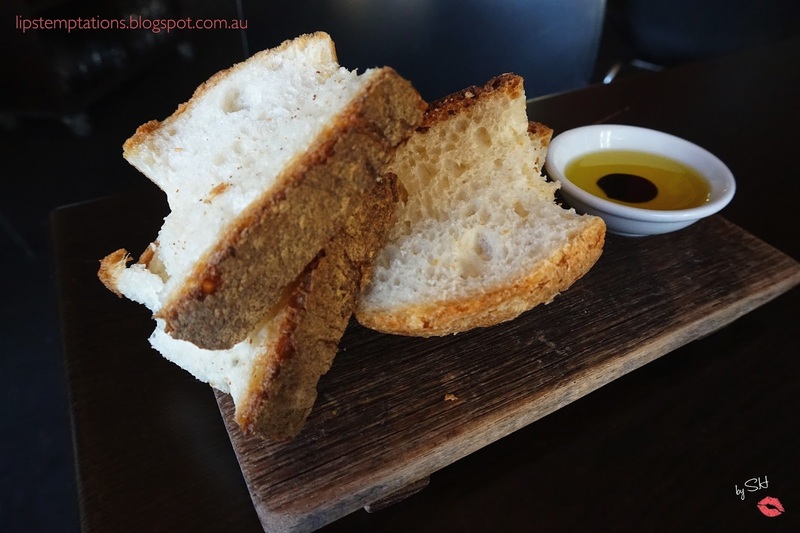 While we are waiting for the food, they served us complimentary bread with olive oil and balsamic vinegar. The bread it self was pretty nice, crunchy crust and moist inside. They have a good selections of tapas and paellas. 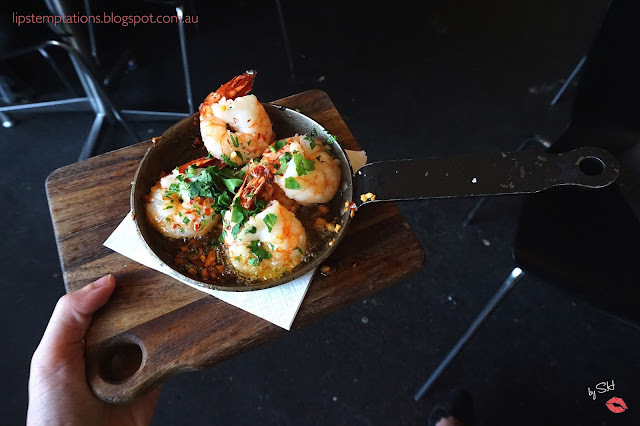 I decided to order Garlic Prawns - sizzling prawns cooked in a traditional Spanish method with crusted garlic, olive oil and a hint of chilli ($14.5). Love the garlic prawns, the prawns are super juicy and fresh, the seasonings was just a perfect for the prawn. 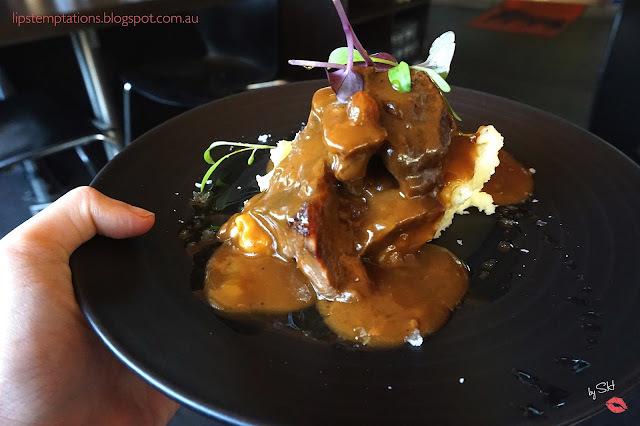 Braised Beef Cheek - six hour braised cheek served on bean potato puree with a Pedro Ximenez sun dried raisin reductions ($14.5). 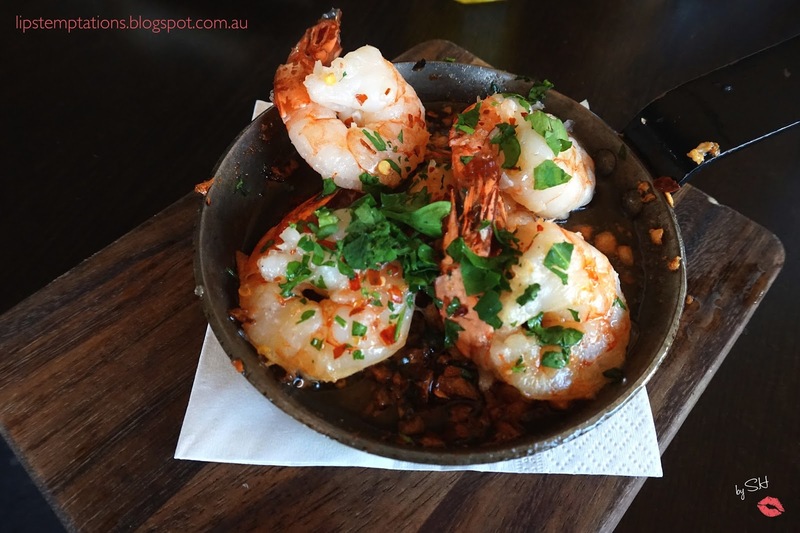 This dish just falls average for me, it needed more seasonings and a bit too mushy for my taste. 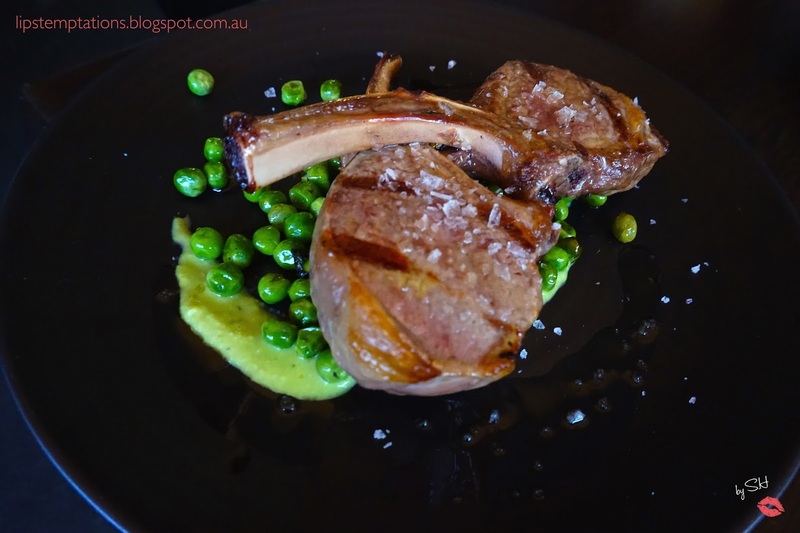 Lamb Cutlets (2) - grilled lamb cutlets cooked rare beef and served on a bed of minted peas ($13.5). 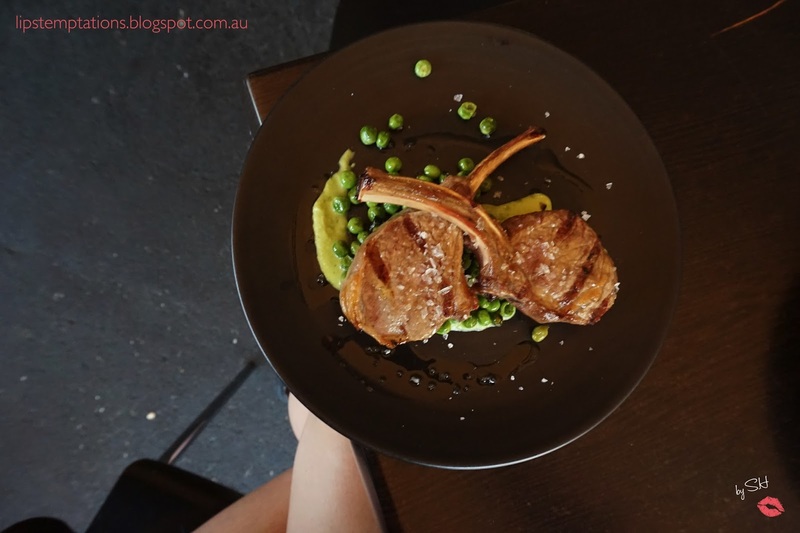 The lamb it self was a bit chewy even though it is still pink inside and needed a little bit more seasonings. 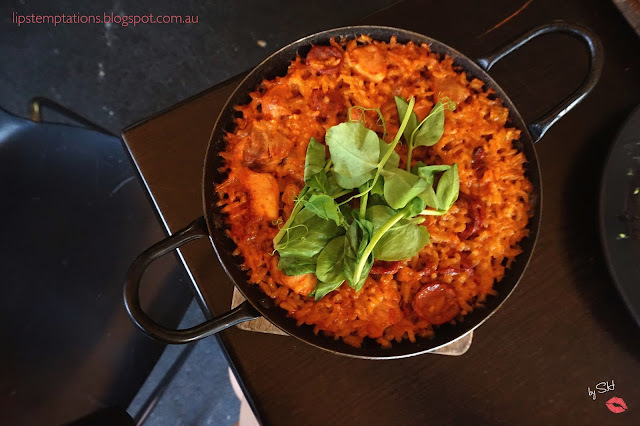 Chicken and Chorizo Paella - tender chicken cooked with chorizo in saffron infused short grain rice ($21). 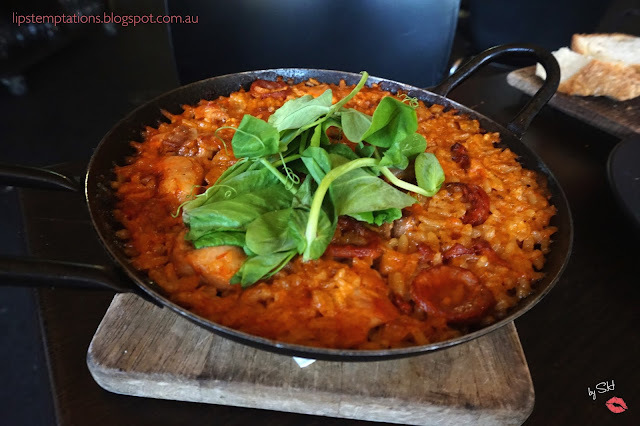 I love the paella, it was well cooked and warm in your tummy. They have a selections of Spanish wines and unique spiced sangria to accompany your meal. 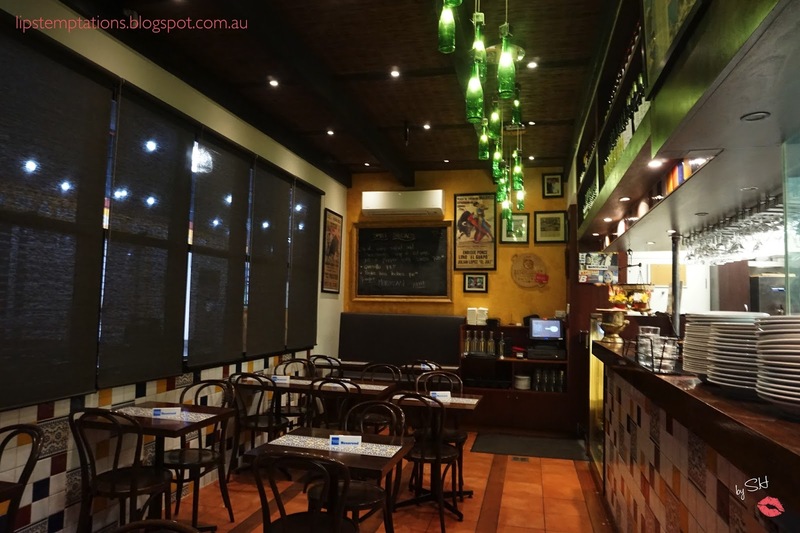 Their staff is knowledgeable and able to help you with your food and drinks selections. Overall the tapas are well prices, paellas are very affordable and they have a quick take away paella packages as well. 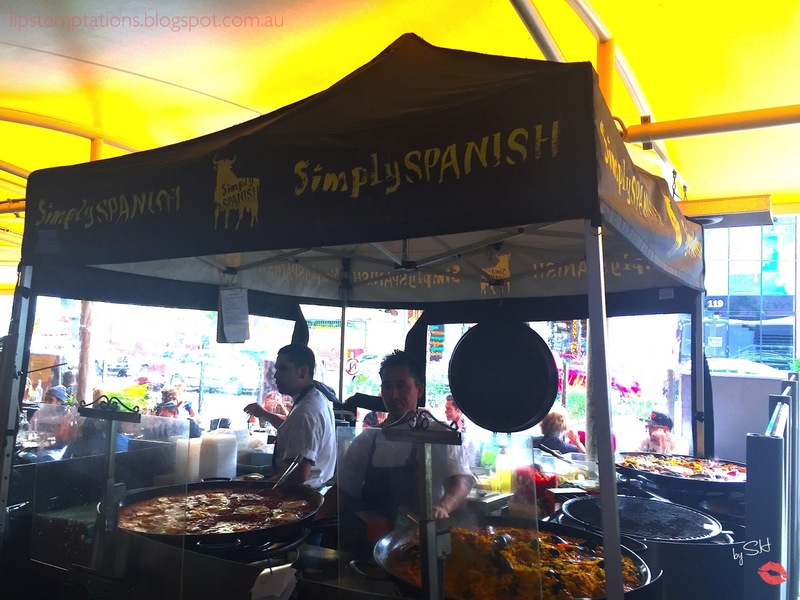 Simply Spanish has two other branches in the CBD, one at Bourke St and the other is at Elizabeth St. On market day they have small stall in front of the restaurant with several big pan of special paella's.